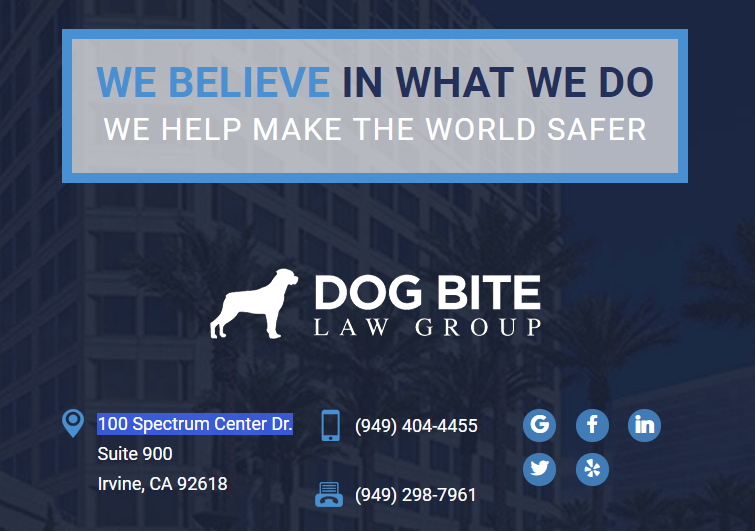 John Michael’s practice is focused on protecting the rights of those who have suffered harm as a result of a dog bite or attack. John has a young family of his own and, when injuries occur as a result of a dog bite or attack, he wants to make sure that children and families’ get the immediate medical treatment they need and their legal rights are protected. Being a Trial Lawyer is in John Michael’s blood. As an Orange County native, he comes from a strong family-line of trial attorneys in the area and has been widely recognized for his own accomplishments. He is a past Finalist for the prestigious state-wide CAOC Street Fighter of the Year Award in 2013 for a successful trial verdict in Orange County 9-times the amount of the last offer before trial, named Top 25 in Orange County and Top 100 in Southern California Super Lawyer Rising Star in 2014, 2015, 2016, 2017, 2018 (reserved for only the top 2.5% of lawyers), a National Trial Lawyer Top 40 under 40 and is a Graduate of Gerry Spence’s Trial Lawyers College. John Michael is also an active member in the local Orange County and state-wide California legal community as a Board of Director for Orange County Trial Lawyers Association (OCTLA), a Board of Governor of Consumer Attorneys of California (CAOC) and an Associate Board Member of Project Youth Orange County Bar Foundation (OCBF). Prior to founding the Dog Bite Law Group, John Michael honed his legal skills in a variety of practices, including the largest business and litigation firm in South Carolina Haynsworth Sinkler Boyd, P.A., two prominent Los Angeles, San Diego and Orange County plaintiff trial firms and public service in the government sector with the Department of Justice in their Environmental and Natural Resources Division; Environmental Enforcement Section in Washington, D.C. An additional interesting work history tidbit includes his work on the Major Motion Picture “American Gun” in Hollywood, CA where he was involved in casting, filming and pre and post-production. After earning his degree in Business Management and Marketing from Loyola Marymount University, John Michael dedicated a year of service to the Jesuit Volunteer Corps (JVC) in Houston, TX. He served full-time with Vita Living, Inc., a non-profit working with those with mental and physical developmental disabilities. It was during this time of service that he became inspired to pursue his legal career to help people vocalize and fight injustice. John Michael went on to earn his Juris Doctorate near the top of his class from Howard University School of Law in Washington, D.C. When John Michael isn’t in trial, he enjoys getting out for a run, laughing with his wife and daughter, being a “weekend warrior” with his home repairs, bodysurfing and backpacking. He is proud to join his family in living out their strong Italian heritage and maintaining their rich cultural traditions. Buona Fortuna! District of Columbia in Washington D.C.